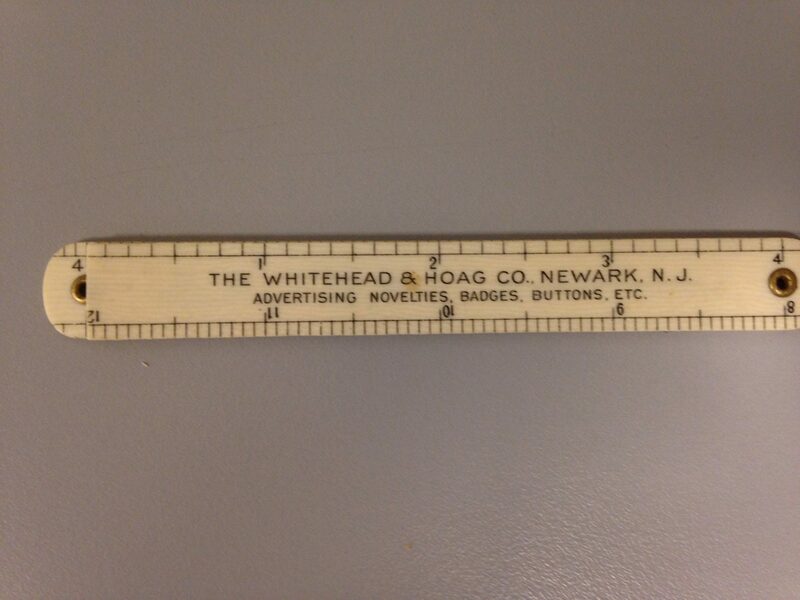 A practical giveaway item from Whitehead & Hoag – Newark’s preeminent manufacturer of novelties. 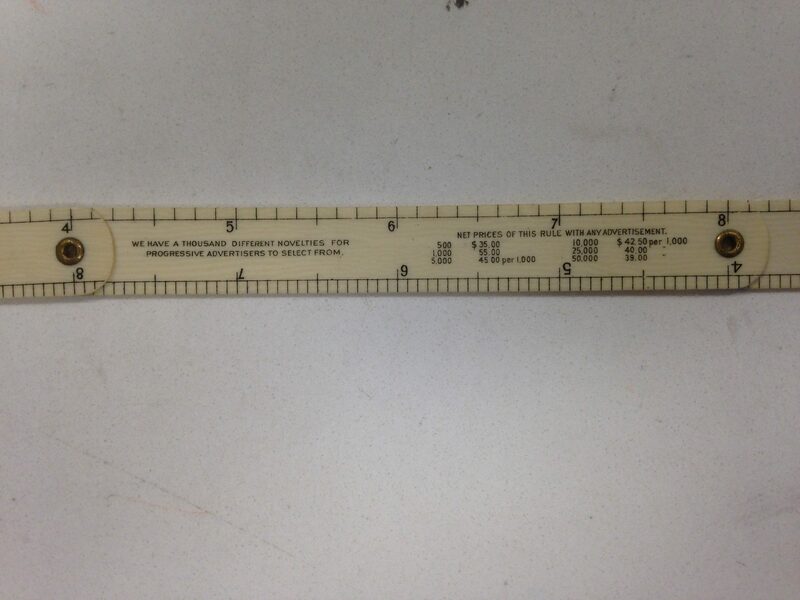 The tri-fold ruler has the Whitehead & Hoag name and address in the first section, pricing in the second section and their sales pitch in the third section. As was their custom, the Whitehead & Hoag name and city of origin are prominently displayed. 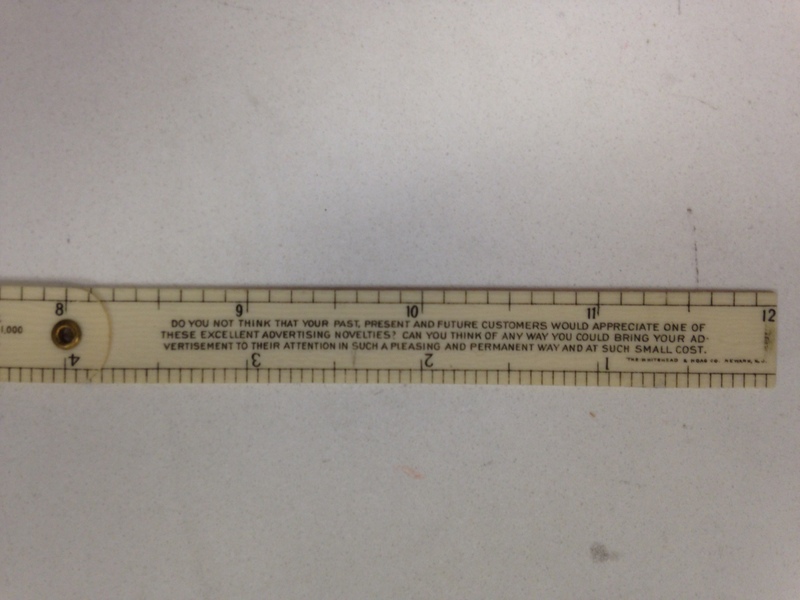 In fact, if you purchased a novelty from W&H and you refused to allow them to place their name on it, you paid a steep premium !! 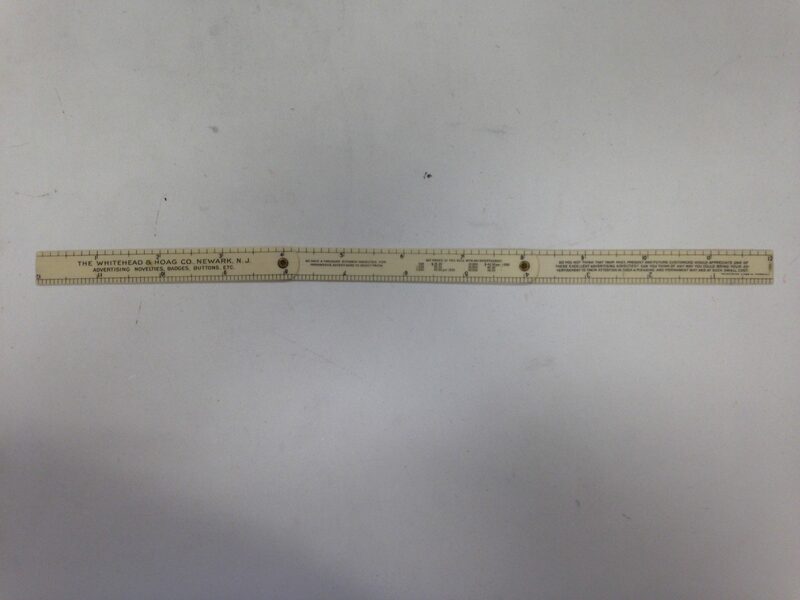 I have to say it was a terrific find. Thanks!